Wordfast Anywhere (WFA) allows translators to access and work on translation projects from a web browser. By storing TMs, glossaries and files in a secure workspace on our centralized server, translators can access their data from anywhere. WFA frees translators from their desktop applications and allows them to work on translation projects from anywhere they have a web browser. By storing TMs, glossaries and files in a secure workspace on a centralized server, translators can access their data even when they are away from their home or office. With Wordfast Anywhere, there is no need to download or install any software. Simply go to www.FreeTM.com to launch the most up-to-date version of WFA, and begin translating instantly. WFA offers each user a private, password-protected workspace on our centralized server. All data (TMs, glossaries, files, personal information, etc.) that you upload and store in your WFA workspace remains strictly confidential and is never shared with any third party. Because WFA is accessed through your browser, it runs on any web-enabled device regardless of operating system. This includes Windows, Mac and Linux operating systems as well as tablets such as the iPad, and leading smartphone operating systems including iPhone, Windows Phone and Android. WFA enables translators to invite colleagues to share TMs, glossaries and files in real time inside of WFA's secure online translation environment. 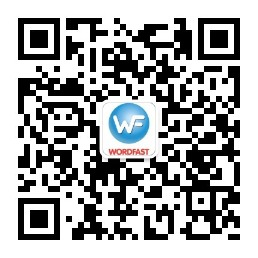 Wordfast Anywhere supports any language that is supported by your web browser. Supported Platforms: Windows, Mac and Linux. Any platform that supports internet browsing, including desktops, laptops, PDAs, tablets, and mobile devices. TMs: Store up to 1,000,000 TUs per single TM; Users can access an unlimited number of TMs simultaneously; Exisiting TMs can be uploaded as TMX or Wordfast TXT format. The largest TM that can be uploaded per single TM file is 500,000 Tus. Glossaries: Store up to 100,000 entries per single glossary; Users can access an unlimited number of glossaries simultaneously; Existing glossaries can be uploaded as Wordfast TXT or tab delimited text format.